Some ideas are very promising to help us in mitigating climate change and among them are green roofs and walls. Planting grass or trees like in Manhattan (cf. picture) on top of buildings have many advantages as it decreases the air pollution, the local temperature of cities and greenhouse gases emissions and so on. In this article I will review the various specificities of green roofs and walls and what they can bring to large and medium sized cities. On top of all these advantages, green roofs can be combined with solar thermal or photovoltaic panels so roofs can still be used to generate hot water or electricity. Green walls also exists and their advantages are similar to those of green roofs. In France such a concept is very seldom seen. However, the train station of Perrache in Lyon installed last month 200 square meters of green walls to decrease the air pollution from its parking lot. To infer this article, I would like to state that albeit the sources I found gave many advantages on such roofs, I found no reliable data on the costs. The article on Wikipedia mentions a price of 15 to 35 USD per square foot but no source is given. For more data on this subject, you can consult the website www.livingroofs.org which is an “Independent UK Resource For Green Roof Information”. 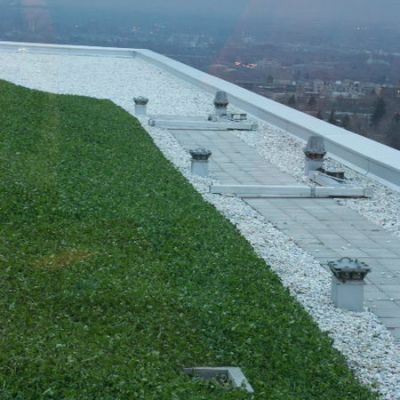 For data regarding green roofs in the United States and Canada, one can have a look at www.greenroofs.com. 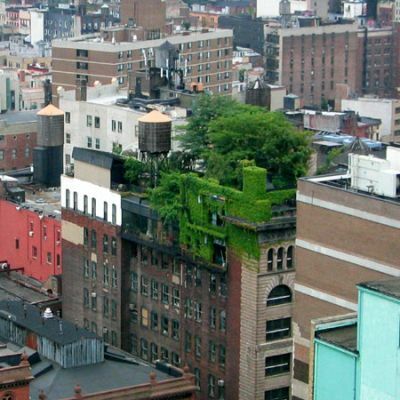 According to this website, there are currently 639 projects due to create up to 444,623,650 ft² of green roofs ( 445 km²). Time to Mow the Roof ; from the green piece blog. congratulations for your work here, i’m recommending your blog for several of friends who want to read more about eco-news! Blog do Planeta, a friend of mine, gave a post about this post of yours. Check it out! Hi Jorge and many thanks for your comments and trackback ! I sent you an e-mail and hope you will receive it. Superb site you have here but I was curious if you knew of any forums that cover the same topics discussed here? I’d really like to be a part of community where I can get opinions from other experienced individuals that share the same interest. If you have any suggestions, please let me know. Thank you!